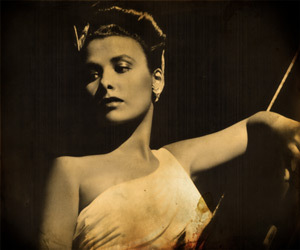 Dec 18, 2011 Posted by AAfterwit on Dec 18, 2011 | Comments Off on Rock For The Ages – The Lena Horne Christmas Edition. Rock For The Ages – The Lena Horne Christmas Edition. Every family who celebrates Christmas has traditions. Mine was no exception. Some of our traditions were fairly “normal.” We had stockings, lights in the windows and on the house. Bubble lights on the Christmas tree remain to this day our favorite way to light a tree. Some traditions were “interesting.” One being my dad would generally wait until the last moment to purchase a Christmas tree. Being a frugal man, he always bought them from a vender he knew who sold “discount Christmas trees.” While it is common to see people advertise Christmas trees at discounted prices, this guy sold discounted trees – trees that made a “Charlie Brown Christmas tree” look like the National Christmas Tree. While people were paying $10 for trees, my dad managed to get a tree for $2 – $3 dollars. (And it was often felt he was overcharged.) Luckily, we put our tree in a corner, so two of the sides could be pressed against the walls and “hidden.” Even then, there were years we couldn’t find a side of the tree that was “pretty” enough to display. Somehow it became a joke to us all. Dad would bring home an ugly tree with few branches and yet every year we decorated and admired how pretty the tree was. Other traditions were a little harder to explain. My parents had to have stewed oysters on Christmas day for breakfast. Don’t ask me why, but I think it had to do with traditions they had observed when they were growing up in rural Virginia. One of the really odd traditions started because of a snow storm and Dad’s (understandable) forgetfulness. One Christmas Eve, Dad had worked 36 hours straight due to a winter storm in the area. On Christmas Eve, he would always stop by some stores and get somethings to fill the stockings of my sister and myself. But due because he had worked so long, he forget. He got off the bus to come home and found the only store open was “Read’s Drugstore.” Trust me when I say that Read’s did not have much in the way of stocking stuffers for Christmas. Undeterred, Dad picked up some small things and then settled on two bottles of Cepercol Mouthwash and a two bars of Irish Spring soap – one each for my sister and me. A tradition was born and following that Christmas, Dad made sure we got Cepecol and Irish Spring soap each and every year. The last Christmas of his life, while suffering from cancer, he made sure I went out and got Cepecal and Irish Spring soap for Christmas to give to my then married sister. The memory I have most about Christmas surrounds Dad and Lena Horn. You see, we would clean out the front part of our basement to put up our tree and in which to gather together to open presents, sing, put on theatrical plays for the season and share the holiday. The basement was finished with knotty pine and had some of the furniture my parents had when they first got married, including an old sofa and a beat up padded rocking chair. While the front of the basement was finished, it was not heated, and so there was an open gas flame heater for that. The rule was that if the heater was on, someone had to be in the basement to make sure nothing caught fire or the flame went out, filling the basement with gas. This meant when we went to bed on Christmas Eve, the heat in the basement was turned off and the basement would get cold overnight. On Christmas day, we would wake up and Dad would head down to the basement to turn on the heat and warm the basement while Mom kept my sister at bay from trying to head down the steps to where the presents were. We would open the door to the basement steps and see our stocking hanging on the railing near the bottom of the steps. We could also see the top of my dad’s bald head rocking in his old chair with a glass of spiked eggnog in his hand while strains of Lena Horne would be emanating from the record player. “Can we come down now?” we’d ask. He would say “no,” and we’d close the door for a minute only to open it again to ask the same question until he relented and we were able to go downstairs where the warmth of the heater, the smell of the tree, the beauty of the lights and the feeling of love and warmth overwhelmed us all. Looking back, I am not sure what Dad was doing while sitting in the rocker. The excuse was that the basement was too cold to go down the stairs, but as I have grown older, I think it was Dad’s way of pausing, reflecting and enjoying the moment – something we should all do more of this time of year. Time has passed and my dad is no longer with us. Our family is separated by time and distance now as we have grown and gone our different ways. Yet for some reason, each year at this time I think of Dad, really bad Christmas trees, Cepecol, Irish Spring soap, and Lena Horne. Here’s to you Dad…… and here’s to the traditions every family has and enjoys.